There is a lot of conversation about the need for people to see themselves and their interests reflected in arts and cultural experiences if arts and cultural organizations were going to remain relevant. 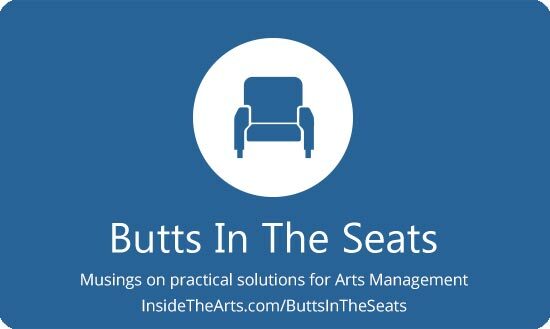 I saw an article on Arts Professional UK that gave examples of what organizations across the Pond were doing along these lines. Many of the observations about the challenges involved which are just as true in the US as the UK. This is the perception people can have when entities create a work purporting to reflect the experience of a group of people without the involvement and input of those who are/were part of the experience. As much as we in the arts and cultural sector believe that what we offer contains a degree of universality with which everyone can identify, that may not be the perception in every community. As I was reading that I wondered if this has always been the case and the greater arts and cultural community hasn’t recognized it because the focus of work has been so oriented toward a middle-class, Caucasian experience. Or if perhaps the isolating effect of social media has magnified the feeling that no one else shares your experience. If you are only seeing the best selves of those around you rather than engaging in conversations about the boring, difficult situations they face, and therefore don’t feel you have much in common with your neighbor, it may be doubly difficult to discern shared universal themes in a creative work. “You need to build good relationships with people on a permanent basis, not just be pulling people in…. because if they think you’re just someone that comes in and then goes… you’re a one trick pony,” said a resident of Mereside Estate in Blackpool. We’ve learnt that you can’t underestimate the time needed to really listen, facilitate and build mutual trust and respect. Being transparent and open about the process and budgets is also key. There’s got to be a genuine, long-term approach, and this raises questions about responsibility to the communities we work with and how to sustain this work over long periods within shorter-term funding contexts.